Friday has arrived in all its glory and splendor, meaning that while it’s almost martini-o-clock, you still have some work to do. As always, this post is a short compendium on all things Microsoft from the past week. And, again as always, there is so much that we can’t fit in. Windows Phone, for example, is not in this post. Yes, things happened in the world of Windows Phone this week. So, if you need more, hit the archives for a full dose of everything that went down. It’s worth your time. 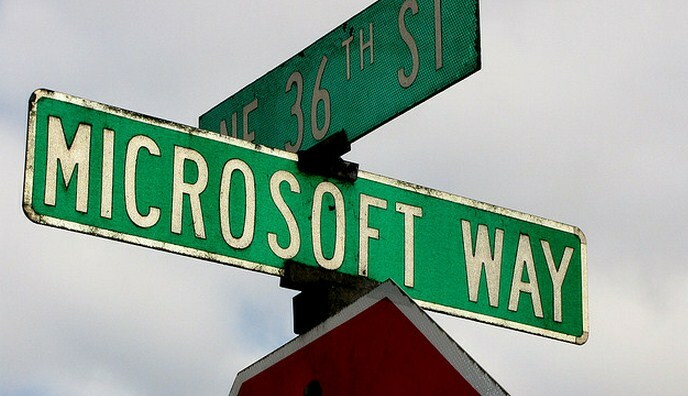 Now, ensure that you are following TNW Microsoft on both Twitter and Facebook, and let’s get into the news. It’s a big, and great move. By doing this, anyone (which means everyone) who has a Windows 8 machine, will have SkyDrive and other Microsoft services tied to it. Automatically. In short, Microsoft is pulling all the confusion that made Windows Live such a difficult experience, and boosting the power of Windows 8 at the same time. Microsoft is making a huge play in this, as it’s going to be handing a bucket of cloud storage (as one example) to anyone who logs into Windows 8. That’s going to tot up to petabytes, I reckon. I suppose that this means that Azure and its server brothers won’t lack for load. Windows 8, as you know, will drop its release candidate in early June. The operating system is expected to be fully released in October. What if you could get an Xbox, and Kinect, for $99. Would you be interested? The only kicker is that you would have to sign on to a monthly plan, at $15 per 30 days. Still interested? Microsoft hopes so, as the company has plans to do just that. [T]here will be a termination fee for those wishing to terminate their contract early, whilst it seems to be bang on the button by reckoning that Microsoft is attempting to align this package as a competitor with the likes of Apple TV, Roku, and PlayStation 3. Xbox is huge for Microsoft, and to widen the base would be to grow the brand. This could be big. In a move that send ripples up and down the world of both books and technology, Microsoft is partnering up with Barnes and Nobel to build an ebook business that will compete with Amazon’s Kindle franchise. Microsoft is putting some $300 million into a new venture that will take the Nook to the next level. The two firms went from acrimonious patent foes, to business allies. Mock Microsoft CEO Steve Ballmer all you wish, but the guy can land a deal. Microsoft owns some 17.6% of the company, valuing it at around $1.7 billion, post money. Microsoft’s last huge bet at a low equity percentage was Facebook, a deal that made the company hundreds of millions. The new venture is designed to “accelerate the transition to e-reading, which is revolutionizing the way people consume, create, share and enjoy digital content.” How this will impact Windows, and other MSFT products is yet clouded. I can’t quite say if this was expected, or surprising, but Internet Explorer 9 has passed 50% market share on Windows 7 in the United States, according to Net Applications’ data that Microsoft is trumpeting. At this rate, both Internet Explorer as a franchise, and Internet Explorer 9 as a product are doing well from a market share perspective. That’s quite impressive. Now, go make a proper goddamn Vesper.